If you are looking for a useful accessory for your iPhone or iPad, then we have a great deal on the iSafe IFDISK in the Geeky Gadgets Deals store. The iSafe IFDISK comes in a choice of three storage sizes, 32GB for $49.99, 64GB of $64.99 and 128GB for $92.99. In the 21st century, you should have a flash drive. You just never know when you’re going to need to store some files or quickly move them from one device to another. 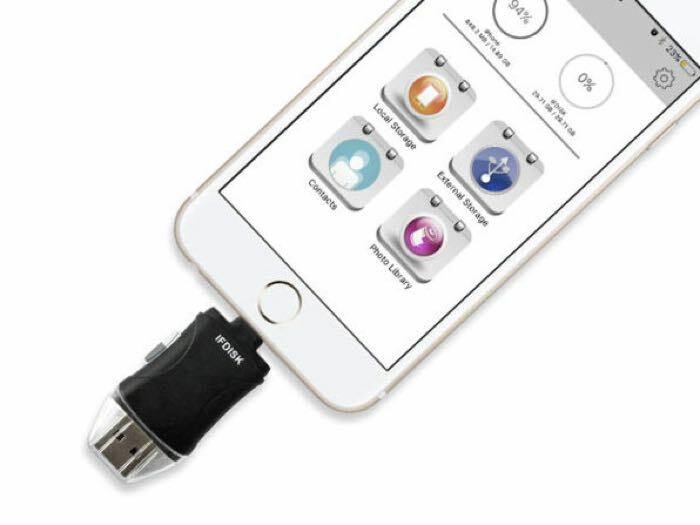 The iSafe IFDISK makes moving data a breeze, equipped with both USB Type A and MFi-Certified Lightning connectors to jump data between laptops and Apple mobile devices in a jiffy. It even has a micro SD card slot so you can quickly store files directly from digital cameras and other devices to a flexible, external drive. You can find out more details about the iSafe IFDISK Drive over at the Geeky Gadgets Deals store at the link below.